Certified Organic insect repellent, DEET Free. Suitable for adults and children, a pleasant-smelling light spray-on formula which leaves no residue. 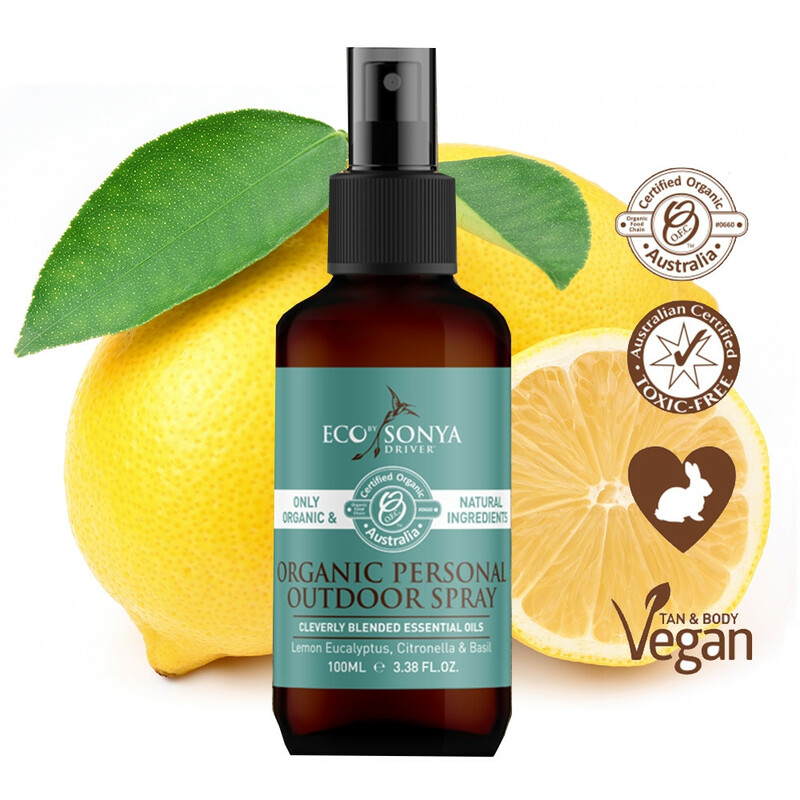 This certified organic insect repellent from Eco By Sonya, is a DEET free alternative to many typical repellents. It is suitable for both adults and children. This light, pleasant-smelling spray contains natural repellents including Citronella, Basil and Lemongrass which have been specifically combined to aggravate mosquitos more than they will aggravate you! Essential oils are contained within a quick-drying nourishing formula designed to hydrate your skin, whilst masking your scent and making it unappealing to biting insects. Application: Apply the spray liberally over exposed skin. To apply to face spray onto your hands and carefully apply using fingers avoiding eye area. Avoid eyes, mouth and broken skin. Tip: Encased in a handy 100ml bottle this will easily fit into most handbags.